Abundant moisture has manifested itself with many low clouds, patchy dense fog, drizzle, showers, and mountain snow showers.. so when is the sun going to come out? It's not quite that gloomy, we did have a few breaks of sunshine during the day this afternoon, but for the most part it's cloudy with scattered showers, a period of rain over Cape Cod, and a mixture of rain and snow on our mountains. There's not much wind, it's relatively chilly temperatures are in the 40s and southern New England 30s northern New England this evening. We have a week upper level low going by, and a powerful storm forming out at sea. 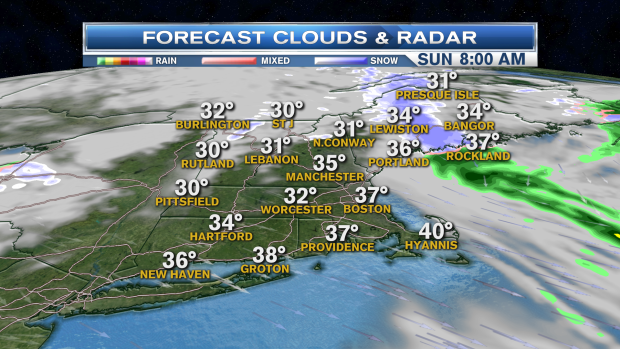 The ocean storm will pull most of the energy away from New England overnight and tomorrow leaving us with clearing sky, and sunshine for much of the day tomorrow. The exception is in parts of northern Maine and some of the mountains of New Hampshire, and Vermont, where mountain snows may up a few inches, lower elevations north of Bangor in Maine may also me receive a few inches. 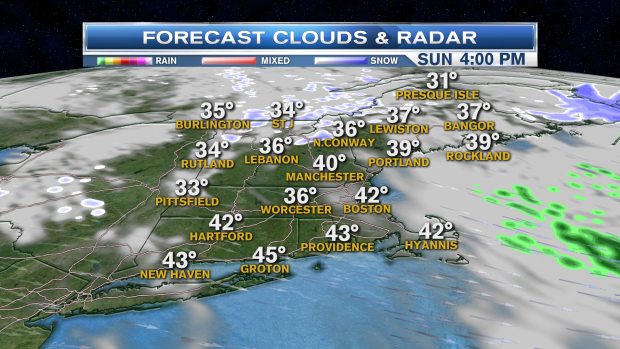 It's frosty overnight with a low temperature near freezing, With sunshine tomorrow highs get into the 40s. Wind will pick up tomorrow from the Northwest gusting past 20 mph. Monday it's sunny and seasonable, high temperature in the 40s. A powerful storm moving into the Great Lakes will push rain into New England on Tuesday. 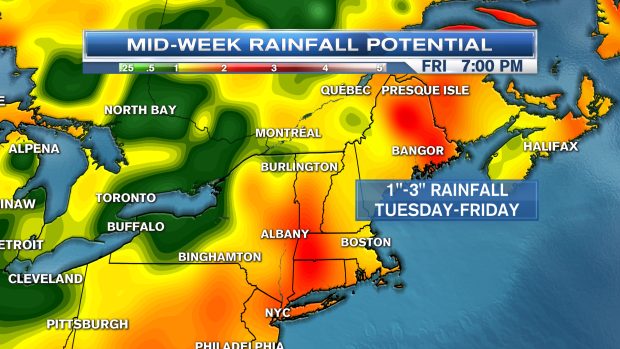 A front stalls on the East Coast with periods of rain on and off Wednesday and Thursday also. Temperatures should get to 50° or higher during the period. It may be cold enough that rain changes back to snow in the mountains before ending late in the week. Next weekend is looking colder and drier.